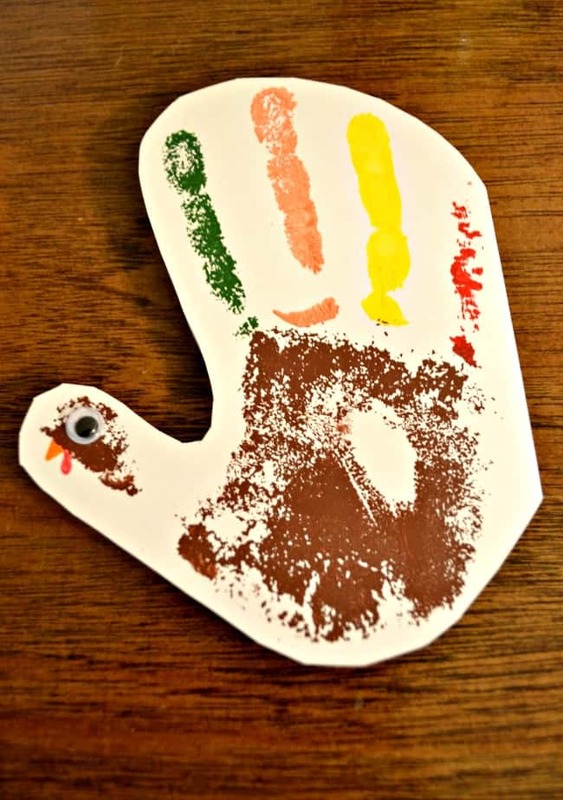 This hand print turkey Thanksgiving card is a great way to get your child involved in the Thanksgiving fun! 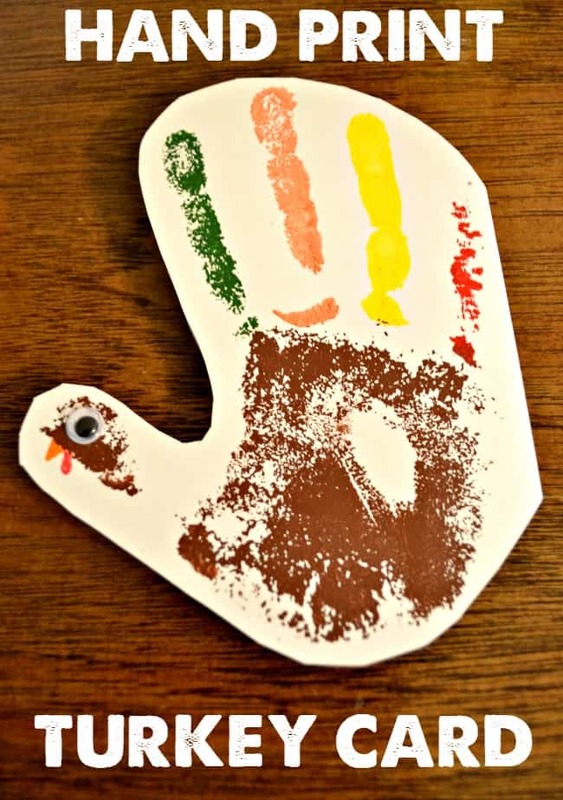 Create this cute handprint turkey card with this simple tutorial. 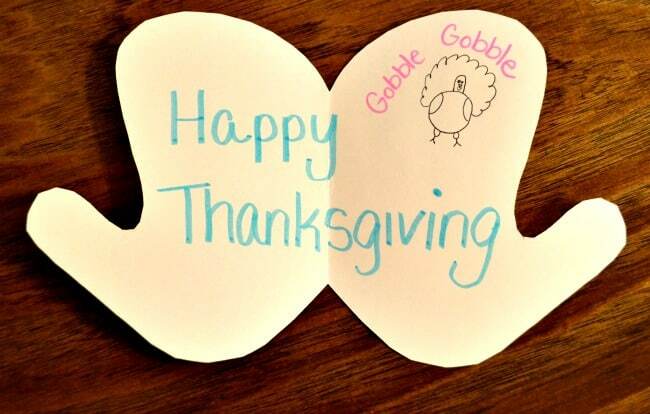 If you are looking to send out a Thanksgiving card this year then here is a cute one for the kids to make. 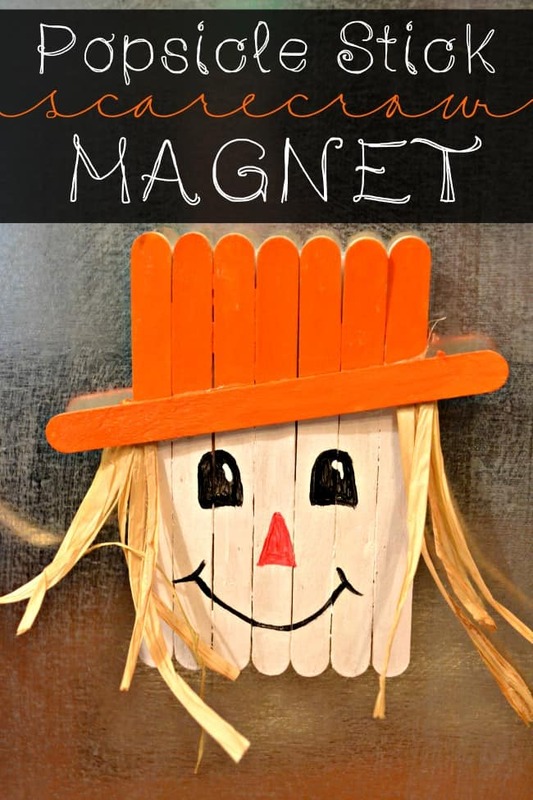 No need to spend money on a card when you can make a homemade one of your own. This one just happens to be super simple and sweet. Paint your fingers! We painted the palm brown and each individual finger a different color for the feathers. Place your hand on the card stock along the fold. We accidentally placed our hand backward, not that it matters. If you want to have the card open the right way then be sure to paint your left hand and not your right. Let dry! Once the handprint is dry you can then paint on the beak and snood (the red part) and add the wiggly eye. Cut around your handprint. We chose to just cut around the fingers but you could cut in between them if you wanted. Decorate the inside to your liking. If you didn’t want to write your own sentiment inside you could also add this super cute poem. It goes along perfectly with this little holiday card. We love it! 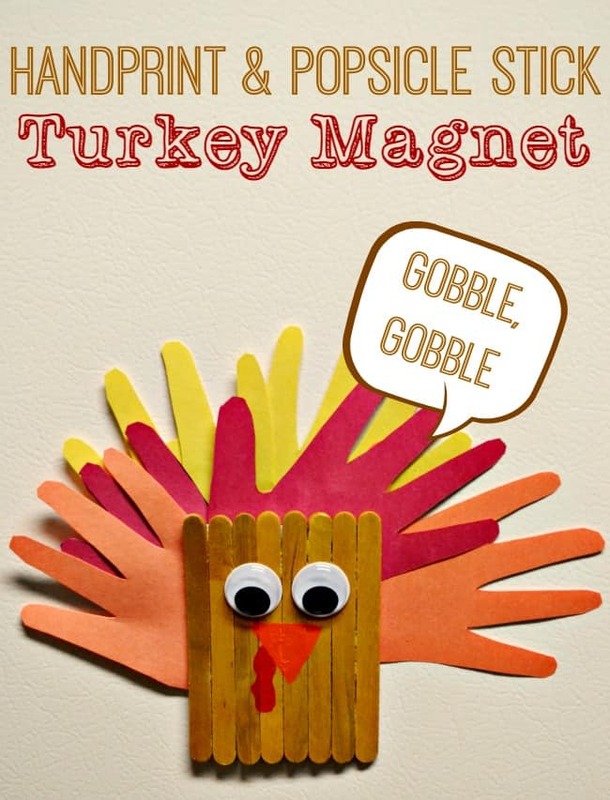 Enjoyed making this Thanksgiving card and looking for another Thanksgiving craft idea? You might like these as well!